VANCOUVER - Vancouver's mayor says a regional police force is so crucial for the Metro area that it should be a top issue in the upcoming provincial election to ensure a serial killer such as Robert Pickton could never again go undetected for so long. 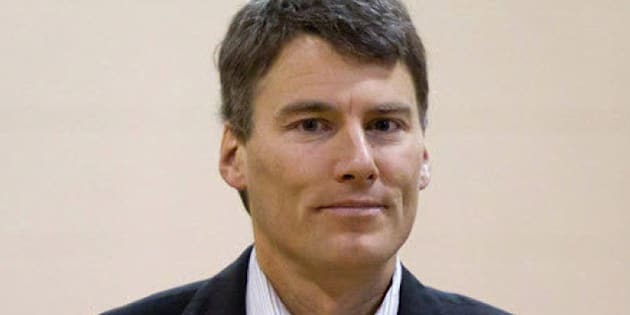 "It's undoubtedly a very dark chapter in our history," Gregor Robertson told the Vancouver Police Board on Tuesday, after the police chief presented a report to the board endorsing 63 recommendations made at an inquiry into why it took police years to catch Pickton. "Vancouver sticks out as a big city without a Metro police force and we've seen horrific tragedies in recent years that might have been reduced dramatically if we'd had a Metro police force active at that time," Robertson said. "The B.C. election is an opportunity to break the logjam on creating a Metro police force," he said. "At this point it's not a top issue that party leaders are addressing directly. There have been comments made towards it but we'll look to see what's in the party platforms and see if this emerges as a key differentiating mark between the leaders and their parties." Robertson said it's up to the provincial government to bring together municipal police forces and politicians who don't believe a merged force is necessary. Pickton inquiry commissioner Wally Oppal said in his report last month that a lack of communication between Vancouver police and the RCMP allowed the serial killer to pick up women in the Downtown Eastside and murder them in Coquitlam, B.C. Vancouver Police Chief Jim Chu said his department made it clear as far back as 2004 that a regional police force would be more effective in solving major crimes. But Chu said there's no agreement on that among various police departments and that the RCMP, which recently signed a 20-year-contract with the province, maintains their force is serving communities well. "Among chiefs there's no consensus so we can't go to the government as a unified body or voice on this," he said. Attorney General Shirley Bond said the government will work with local governments to ensure their policing models meet their communities' needs. "Any change, whether it be regionalization or further integration, has to meet the needs of both our communities and our taxpayers," she said in a statement. Deputy Chief Const. Doug LePard told the board that Vancouver's department is working on a real-time crime centre, which is a centralized crime-fighting computer facility that would allow police to access investigative information around the clock. He said that would mitigate structural barriers to communication as cited in Oppal's report. "Hopefully that will mean some additional support from the provincial government because of course there are some funding challenges to it," LePard told the board. "This was an incredible tragedy as the women died, and some of them, we believe, if we had done a better job, wouldn't have died and so we know that we made many errors," he said of Pickton's victims. Pickton was convicted in December 2007 of killing six women, but the remains or DNA of 33 women were found on his farm. He once told an undercover police officer that he killed 49 women and was aiming to kill 50 women.